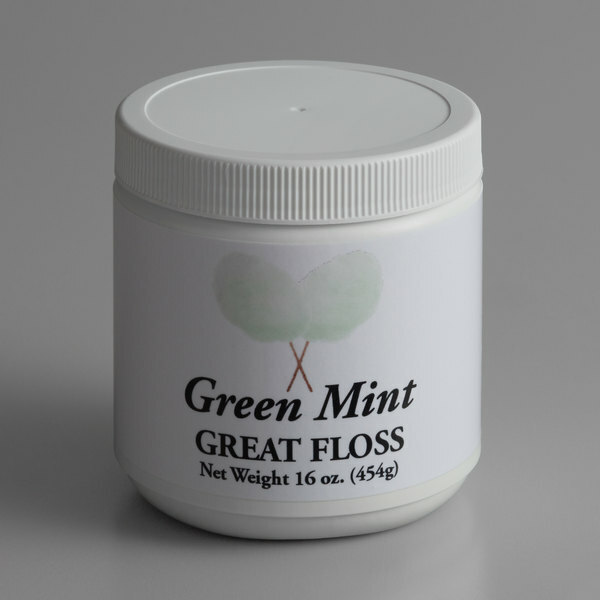 Though many amusement parks use premixed floss sugar to make cotton candy, you can easily mix this Great Western Great Floss mint green floss sugar concentrate with sugar to produce fantastically-flavored cotton candy, and your patrons will notice the difference! This cotton candy concentrate gives cotton candy the proper look, proper aroma, and great taste every time it's spun. The unique green color and refreshing taste of this mint green Great Floss will stand out among your classic pink and blue varieties. 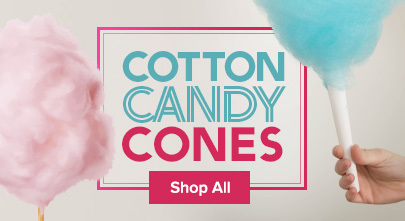 Offering a variety of colors helps draw even more customers to your eye-catching cotton candy display! The flavor of this is similar to mint chocolate chip ice cream. It also puts off a nice minty smell as you are making it. I add 4 tablespoons per 4 lb bag of sugar and it comes out a nice light green color. We got the mint flavors after reading some great reviews about it, and it sure taste good! You can still taste the sweetness with a hint of minty flavors to it. Something you won't be able to find anywhere else! I like this product. It tastes great, and it gets customers excited having another option in addition to the traditional pink vanilla flavor. I will purchase this again. This really is a good flavoring to add to cotton candy. It does have a nice mint flavor and also a pretty color to it. Great Western Mint Green Cotton Candy Concentrate Sugar left us a great minty taste of cotton candy. Everyone loved it and it was unbelievable too! I need green cotton candy and i was hesitate to buy green mint. After testing it out this has become my FAVORITE flavor of them all. It has a bright mint taste and really balance out the sweetness of the cotton candy. i'm sure adults and children will rally behind this new flavor.